Llywelyn's Pub resides in a 100 year old renovated church, giving you the ultimate Irish experience. 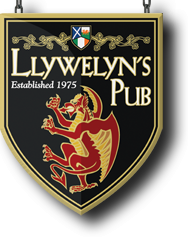 Celebrating Celtic inspired food and beverages, Llywelyn's Pub offers an expansive beer list. Did we mention Irish Whiskeys?